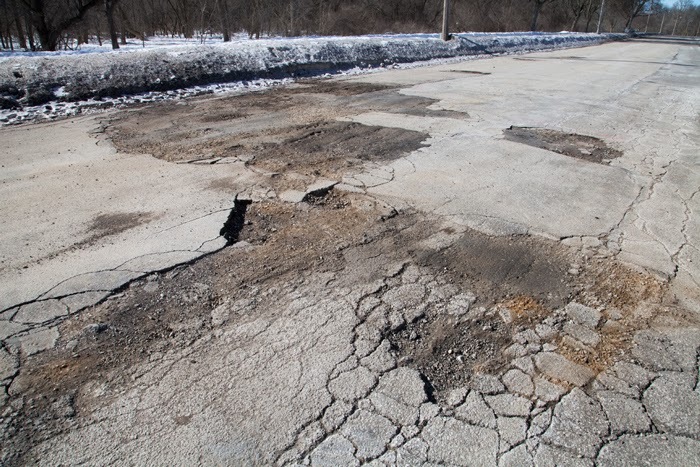 However, if you've tried to drive on the heavily traveled section of the Menomonee River Parkway between North Avenue and the Village of Wauwatosa in the past week you've noticed that a section is completely closed. If you haven't already heard, the closure is due to the potholes, which extend in several spots clear across the width of the roadway. As you can see in this example. The closure isn't absolute. I've seen cars slip around the barricades on several occasions. In fact, there are residential driveways that must remain accessible in that stretch. Even so, I was surprised by the appearance of this Arctic Ice truck, which clearly had no business on the parkway even if it had not been closed. Trucking is not allowed on Menomonee River Parkway. The parkway was bad anyway--has been for years--and the plowing is largely to blame for the extent of the damage, I'm sure. But scofflaw truckers can't be a good sign. 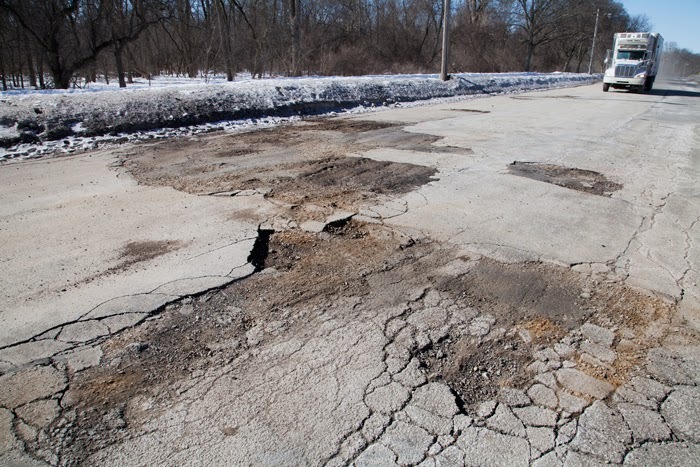 To read more about the parkway pothole problem in Wauwatosa NOW, go to "Menomonee Parkway a victim of potholes, crumbling pavement."